Convenient lifestyle offered for anyone living here. 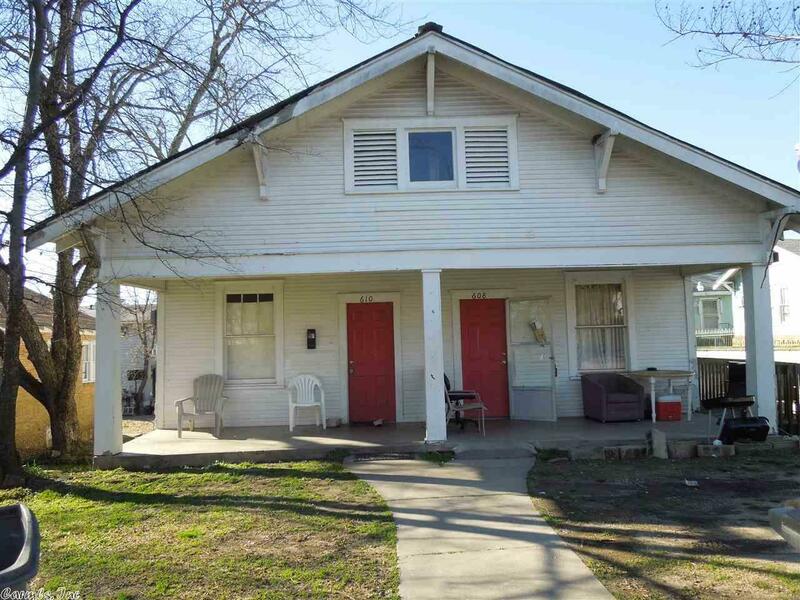 Own this duplex and rent one side for income or great investor buy. Both sides are 2 bed 1 bath with mini split units and hardwood floors. Living room, two bedrooms, eat in kitchen, and laundry room make the floor plan just enough. Unit 608 currently rented for $650 utilities paid and unit 610 rents for $475. Taxes and Insurance paid 2018 total $938.17. More properties can be purchased in a package, call for details.